The place has a beautiful view. We had an unforgettable time there. Spaciousness of the room and big infinity pool over looking the ocean from the cliff is so good. The view and the pool were amazing, great friendly staff, very clean property. Indeed an incredible and unbeatable view. If you have your own transport then it is super easy to reach the beach, shops and restaurants in the vicinity of the property. Thanks and congratulations to the staff, who was both very helpful and friendly. 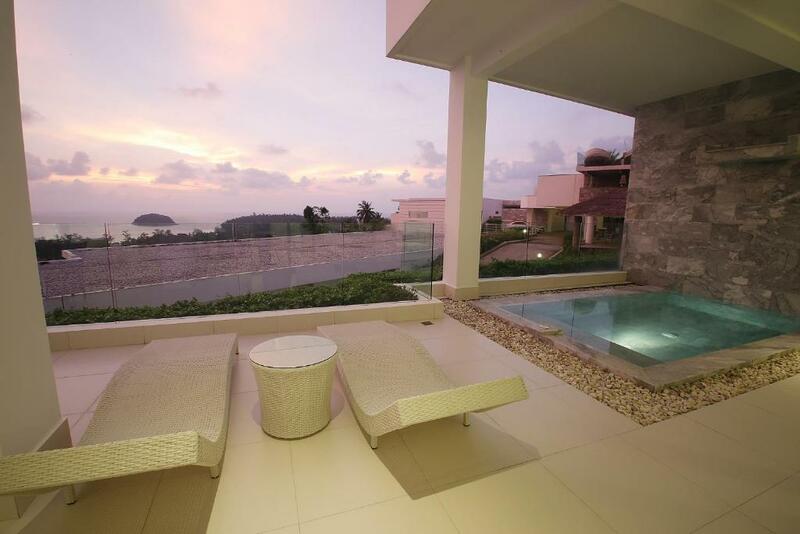 Lock in a great price for The View Phuket – rated 8.3 by recent guests! The View Phuket This rating is a reflection of how the property compares to the industry standard when it comes to price, facilities and services available. It's based on a self-evaluation by the property. Use this rating to help choose your stay! 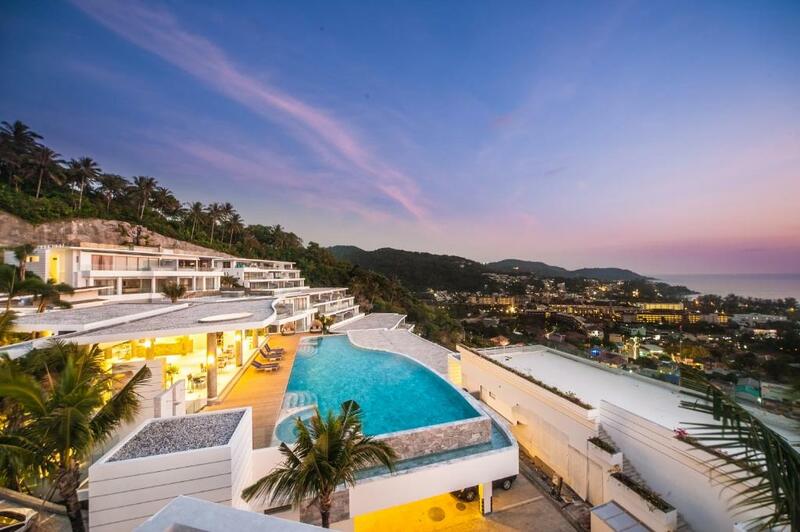 Located in Kata Beach in the Phuket Region, 0.7 mi from Dino Park Mini Golf, The View Phuket features an outdoor pool and views of the sea. The accommodations features a hot tub. Kata Noi Beach is 1.2 mi away. Free WiFi is offered . Featuring a terrace, the accommodations features a dining area and seating area with a flat-screen TV. There is also a kitchen, equipped with a microwave, toaster and refrigerator. Towels are available. 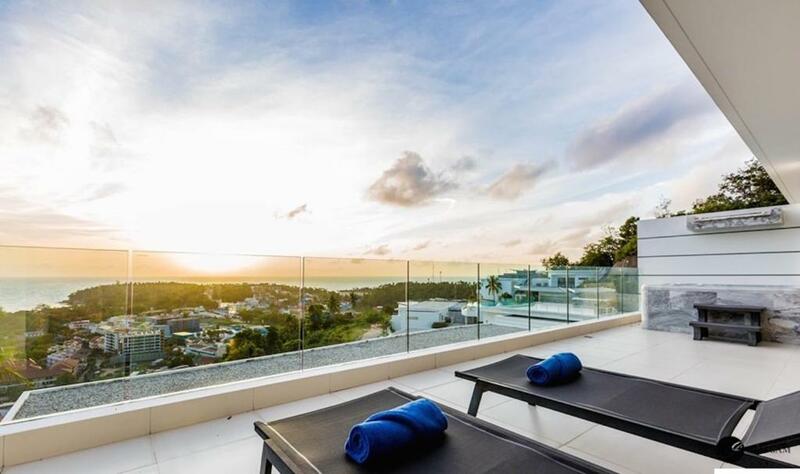 The View Phuket also includes a fitness center, a spa and a business center. Guests can enjoy a drink at the on-site bar. Kok Chang Safari Elephant Trekking is 1.4 mi from The View Phuket. 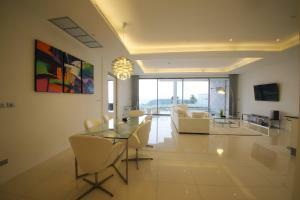 The nearest airport is Phuket Airport, 20 mi from the property. 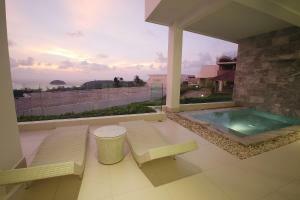 When would you like to stay at The View Phuket? This apartment features a balcony, satellite TV and sea view. This apartment has a sofa, electric kettle and private pool. This apartment features a bathrobe, hot tub and microwave. Just imagine that ideal lifestyles inspiration Breathtaking Panoramic Views of the beautiful Andaman Sea. From the moment you step onto the property, you will feel that difference. It has an energy that’s so distinctly powerful, so uniquely rich, cool and chic, it makes you feel sophisticated. And this is how your holiday should start! We offer a wide range of high-quality sea view units ranging in various size from our generous Two-bedroom units from 116 sqm to our opulent Three-bedrooms penthouse at 357 sqm. The low-density, low rise architectural style is a modern tropical contemporary design with strong maximise the view, whilst protecting privacy. Each block is constructed in light bright white allowing excellent natural light, whilst the generous windows and full height doors allow optimum ventilation. Our guest may best be characterised as sophisticated, smart and highly individualistic, staying at THE VIEW PHUKET is about making a statement, and differentiating oneself. Further, we offer the following facilities for the convenience of our guest: Two swimming pool, GYM, Free Shuttle pick up and drop off at Kata and Karon Beach. Facility : Swimming Pools, GYM , Sauna and Free shutter bus from The property to Kata & Karon Beach. This family-friendly Karon/Kata beach residences is within 1 mi (2 km) of Kata Porpeang Market and Dino Park Mini Golf. Kok Chang Safari Elephant Trekking and Karon Market are also within 3 mi (5 km). House Rules The View Phuket takes special requests – add in the next step! The View Phuket accepts these cards and reserves the right to temporarily hold an amount prior to arrival. A damage deposit of THB 1000 is required upon arrival – that's about 31.24USD. This deposit is fully refundable at check-out as long as there's been no damage to the property. Male staff who took care of late night check-in was impolite and lack of service mind. This affected our first impression towards the property to be negative. A whole tampered glass bathroom door shattered on me itself when I was taking a shower. I don't know how but i didn't die! Had many scratches on my body. It still aches. This usually happens when there's a flaw in installation. The maintenance guy said it had happened before but no-one was staying at that moment. It was disappointing! Spoilt the whole trip there on. The property was just amazingly serene. New Year's food and wine selection was average and offered nothing really exciting. The service and setting were however truly special. No room service, reception is not working 24 hours and we faced a big problem because we our flight was in the early morning and we didn`t find anybody to check out. the hotel is on a high cliff which was impossible to walk and shuttle bus was not available all time and taxis take extra charge to go up and if its raining never go up or down for your own safety. The huge hill. Difficult to go out. No taxis unless you book in advance. No phone to call the club house. The white tiles on balcony extremely slippery when wet and my child did slip bad and landed on her back. No cover on balcony when it rains.